With companies across the MidAtlantic Corridor and Northeast Region depending on Allied for their business Internet, voice, Unified Communications and data services, the technical support team in Allied’s Network Operations Center is the backbone of its award-winning customer service reputation. Allied made it a priority last year to improve and enhance our support operations and we are proud to see those efforts recognized as best-in-class. 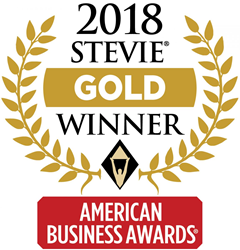 Allied Telecom is proud to announce that its Network Operations Center (NOC) Support Team was named the winner of a Gold Stevie® Award in the Customer Service Department of the Year category in The 16th Annual American Business Awards®. The American Business Awards are the U.S.A.’s premier business awards program. More than 200 professionals worldwide participated in the judging process to select this year’s Stevie Award winners from more than 3,700 nominations. Allied was nominated in the Customer Service Department of the Year category for Telecommunications. “Nice narrative and impressive 97.9% customer satisfaction rating,” commented one judge on Allied’s nomination. “I like the commitment to constant and never-ending improvements,” said another judge. For over 20 years, Allied has operated under the belief that acting as a “trusted technology partner” and delivering exceptional service is crucial to successful relationships with its clients. Amidst a telecom industry all-too-often known for poor customer service and slow resolution, Allied has long differentiated itself through personal client care and quick response times. In the spirit of Allied’s stated company value of “Constant and Never-ending Improvement”, the NOC took major strides in 2017 to further improve clients’ experiences by implementing a new trouble ticketing system, that provides a streamlined communication flow between NOC analysts and clients, as well as simplified customer support surveys that keep a pulse on client satisfaction with the NOC’s responsiveness and service. Clients also now have additional methods to request support through Allied’s Twitter and Facebook channels. ABOUT ALLIED TELECOM: Allied Telecom is a highly regarded network service provider in the MidAtlantic and Northeast regions. Known best as a “trusted technology partner,” Allied has delivered Internet, data transport, voice, Unified Communications, and cloud connectivity solutions for clients in business, government and the nonprofit sector for more than 20 years. For more information, visit http://www.AlliedTelecom.net. ABOUT THE STEVIE AWARDS: Stevie Awards are conferred in seven programs, including the The American Business Awards®. Stevie Awards competitions receive more than 10,000 entries each year from organizations in more than 60 nations. Honoring organizations of all types and sizes and the people behind them, the Stevies recognize outstanding performances in the workplace worldwide. Learn more about the Stevie Awards at http://www.StevieAwards.com.